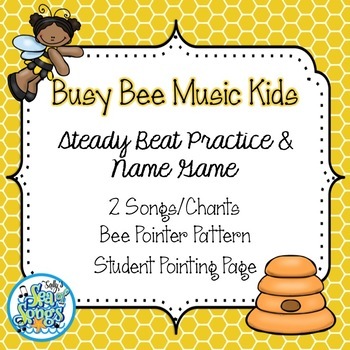 Cute busy bee kids theme to engage students in steady beat practice or a name game. 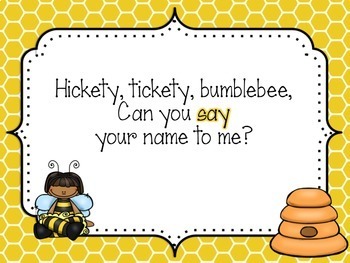 ***Five presentation slides containing various versions of Bee, Bee, Bumblebee and Hickety Tickety Bumblebee may be displayed on your screen or interactive whiteboard. ***One student pointing page may be printed for each student, to practice keeping the steady beat while chanting or singing the song. 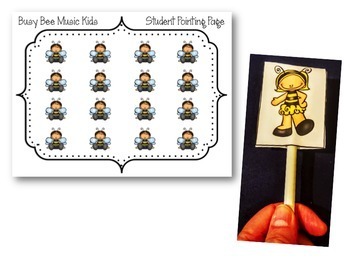 ***Print and laminate the bee pointer pattern to use during name game, pointing to the student who should echo. 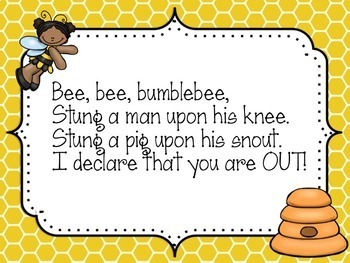 ***Game directions for playing Bee, Bee, Bumblebee as a circle game.